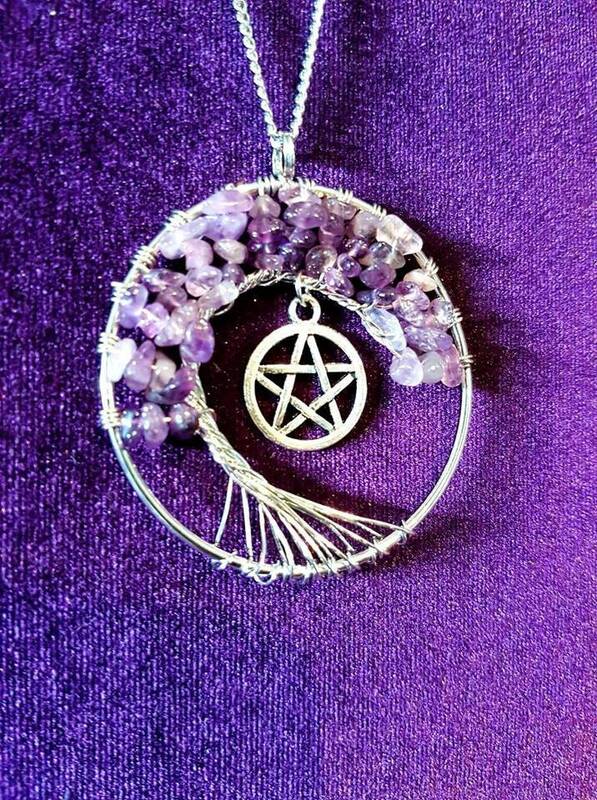 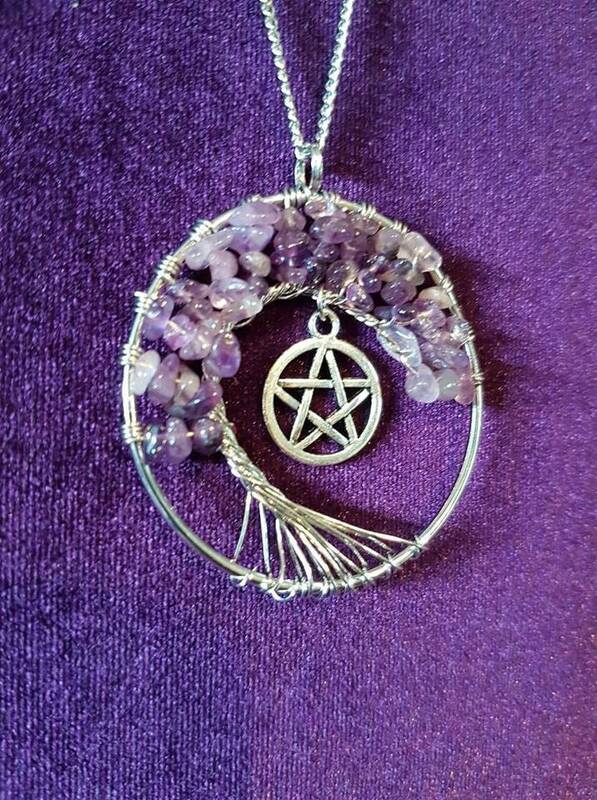 Pentagram Bonzai Amethyst Tree Necklace. 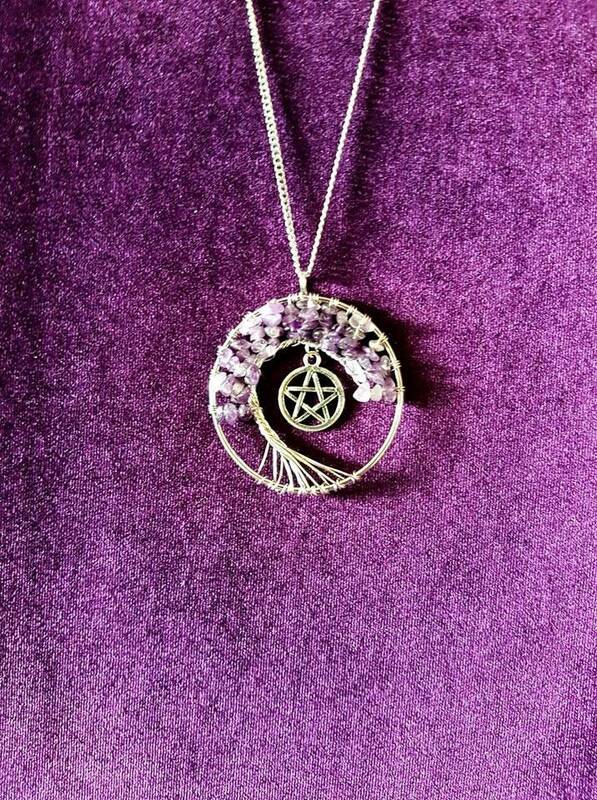 - Silver colour 50cm long chain. 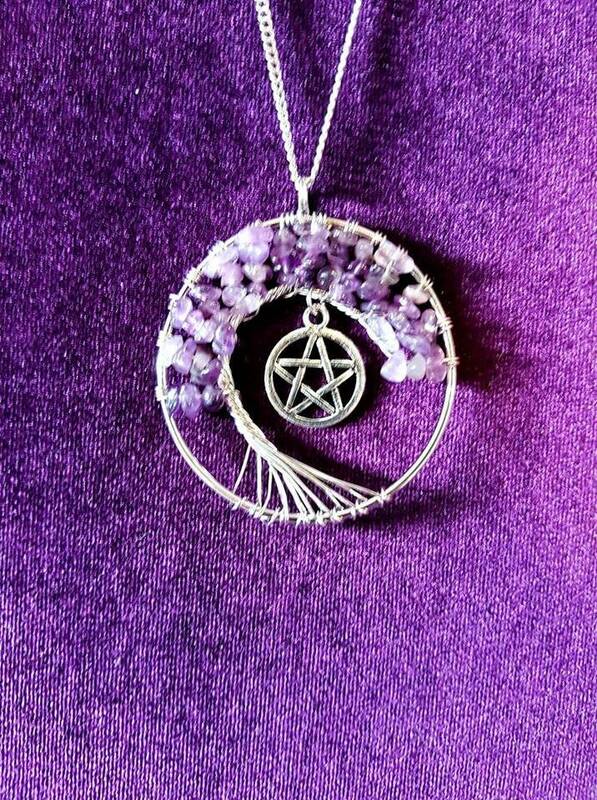 - Bonzai Tree made out of mini amethyst gemstones. 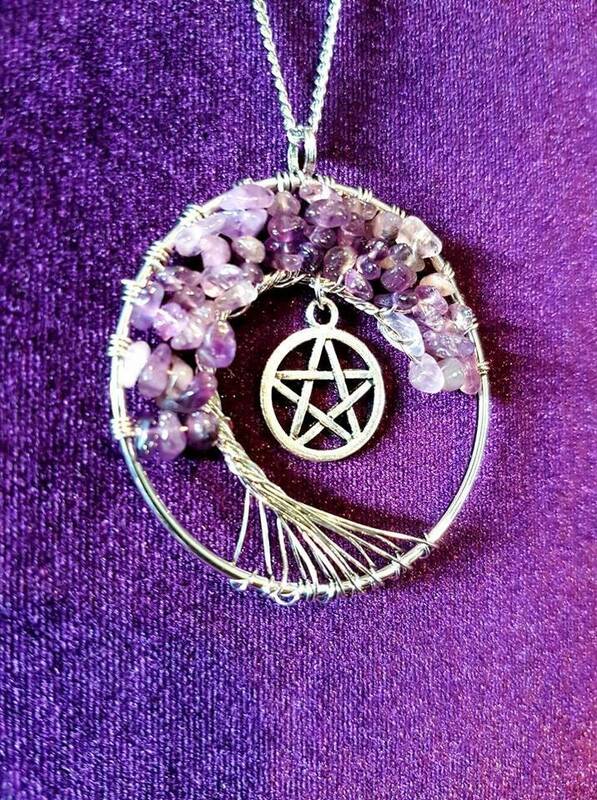 - Pentagram hanging from the tree.